Napa Rose is a table service restaurant in Disney's Grand Californian Hotel at Disneyland. It's a top quality meal. Chef Andrew Sutton's Napa Rose might be the top restaurant at the Disneyland Resort. Inspired by northern California's wine country and offering an ever-changing menu, the Napa Rose serves dinner only and a chef's counter is available for a view of the kitchen. 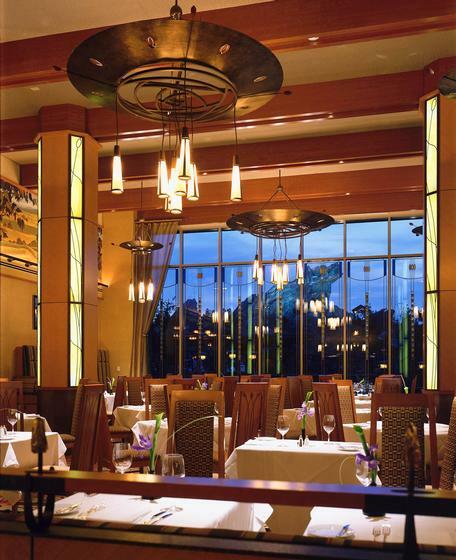 Reservations are highly recommended, those without reservations may dine in the adjacent Lounge, where the same menu is available.